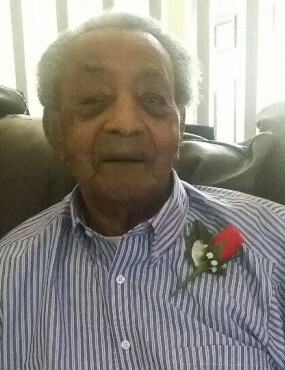 Obituary for Deacon Onree Smith | Lester Lackey & Sons Funeral Home Inc.
Deacon Onree Smith, 89 of Oxford, Georgia entered eternal rest on Monday, January 28, 2019. Service of Celebration will be held on Saturday, February 2, 2019, 11:00 AM at Peek's Chapel Baptist Church, 3185 Old Salem Rd SE, Conyers, GA 30013, Reverend J.H. Battle, Pastor, Pastor J.P. Baker, Eulogist. Interment will follow at Lawnwood Memorial Park, 1111 Access Rd, Covington, GA 30014. The remains will repose at the church from 9:30 A.M. until the service hour. The cortege will assemble at 120 Oxford Rd., Oxford, GA, 10:00 A.M. Visitation will be on Friday, February 1, 2019 at the funeral home, 12 Noon-7:00 P.M., with a family hour from 6:30 P.M.-8:00 P.M.